About 3 million jobs are unfilled because Americans lack the basic technical skills to fill them. With many positions in science, technology, engineering and mathematics being filled by people born outside the country, the United States is stepping up its efforts and making STEM education a top priority. 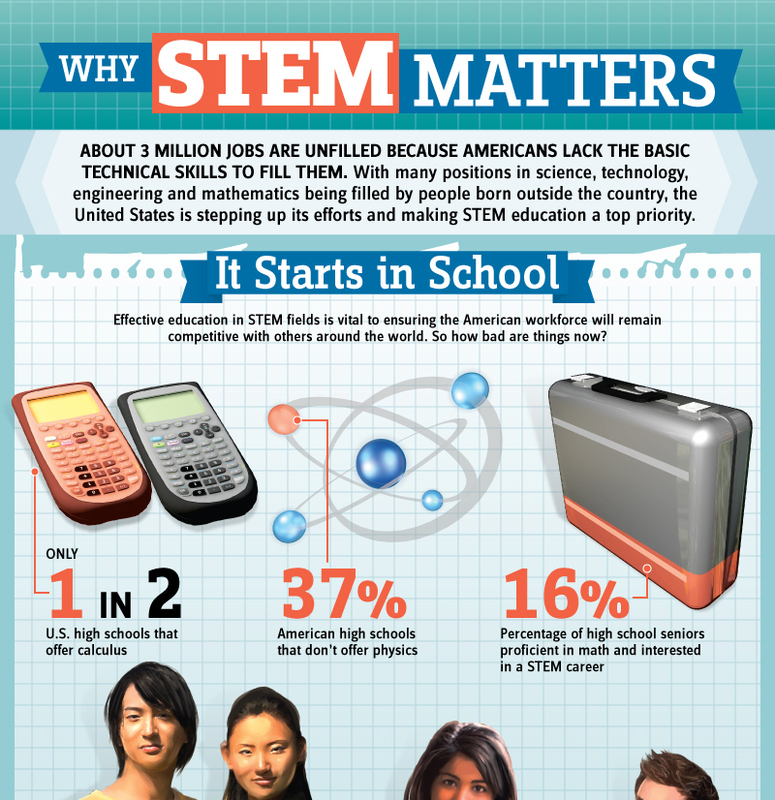 Effective education in STEM fields is vital to ensuring the American workforce will remain competitive with others around the world. So how bad are things now? The Educate to Innovate initiative, launched in 2009, aims to move American students from the middle of the pack to the top of the pack in math and science over the next decade. It has garnered $700 million in public-private partnerships. Degrees in STEM fields can help graduates land jobs - jobs that pay better than average.